Having fun by learning Object Oriented Programming. PrOgO is a 3D building game for learning Object-Oriented Programming (OOP). PrOgO is designed to be used alone or in class in order to learn the basic concepts of OOP in a funny, fast and effective way. Each 3D building block is associated with a code element in the studied language. Initially turned towards learning C++, PrOgO will soon address other programming languages. 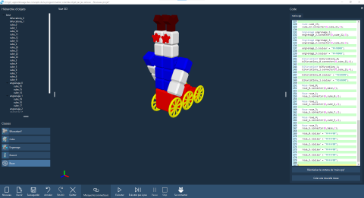 Manipulating 3D building blocks in the virtual world or through the computer code allows to develop advanced virtual robots and even to animate them! The PrOgO built-in code editor uses an autocompletion system that allows the player to easily write an error-free program. Moreover, syntax highlighting provides fast and easy code reading. A permanent relationship is established between the editor and the virtual world; thus any changes to the virtual world instantly and automatically generates the associated code, and any direct changes to the code instantly applies in the virtual scene. Senior Lecturer in Computer Engineering, Automation and Signal Processing at the University of Auvergne. She coordinates the progress of Tactiléo project at the University of Auvergne and heads the PrOgO team since October 2013. Senior Lecturer in Computer Science at the Pascal Institute and the University of Auvergne. He supervises the software design and development, as well as classroom experiments. He is also responsible for the teaching of Object Oriented Programming in the first year of Computer Science - Digital Imaging Diploma at the institute of technology of Le Puy-en-Velay (France). PhD student in Computer Science at the Pascal Institute. Creator and designer of PrOgO which results from research conducted during his thesis from october 2013. She is at the root of conceptual and educational choices of PrOgO and mainly works on its design and evaluation. She defines the necessary educational resources for using PrOgO in class, as well as scenarios constituting the various learning situations and prepares in-class experiments. 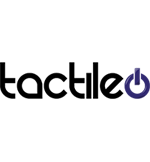 Software developer for Tactiléo project within the institute of technology of Le Puy-en-Velay. She is in charge of software implementation of PrOgO. Eric Sanchez:Lecturer in e-education at the French Institute of Education and the École Normale Supérieure in Lyon. Co-directs the thesis of Fahima Djelil. Jean-Marc Lavest: Professor at the Pascal Institute. Co-directs the thesis of Fahima Djelil. Dominique Moncorgé: Teacher of Mathematics and Computer Science at the Computer Science - Digital Imaging Department of the institute of technology of Le Puy-en-Velay. He participated in the planning of the first session of using PrOgO in class and contributed to the integration of PrOgO in the teaching program of the "Algorithmics and C ++ programming" module in the first year degree in Computer Science - Digital Imaging. Sandrine Mirmand: During his professional degree internship at University of Auvergne in April 2014, she developed the first experimental prototype of PrOgO. She also suggested the "PrOgO" name. 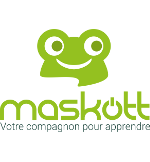 PrOgO was developed as part of the Tactileo project, winner of the call for e-education project initiated by the Ministry of Education within the Future Investments and carried by Maskott society. This is a team of the Computer Science - Digital Imaging department of the institute of technology of the University of Auvergne that develops PrOgO. The French Institute of Education also participates in the development of PrOgO by co-directing Fahima Djelil's thesis. Here are all the versions of PrOgO. You can leave us your email to be informed of new releases or leave it blank for direct access to download. Thank you to check the above box to verify that you are not a robot. We have not yet released these resources in english. However, you could find them here in french . Come back later for english translation! Information, partnerships, feature needs or simply thank you.